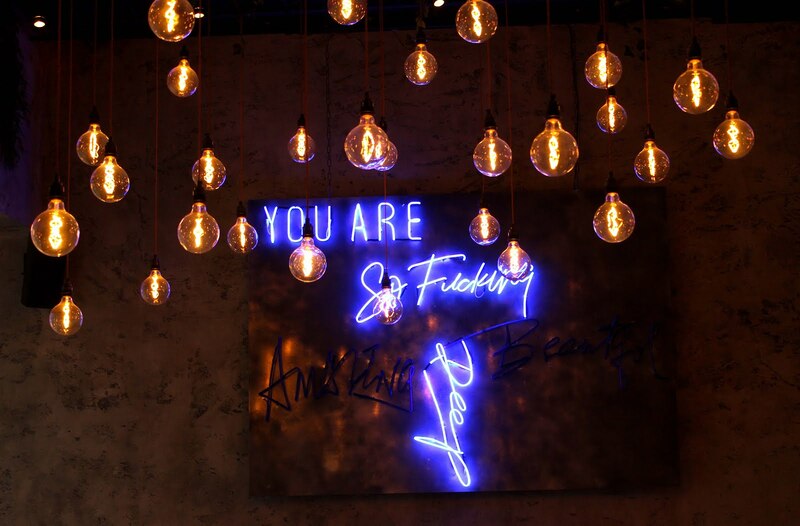 An acrobatic aerial hoop, a catwalk down the centre of the restaurant and neon lights just screaming to be Instagrammed, Menagerie, Manchester is the epitome of cool dining. 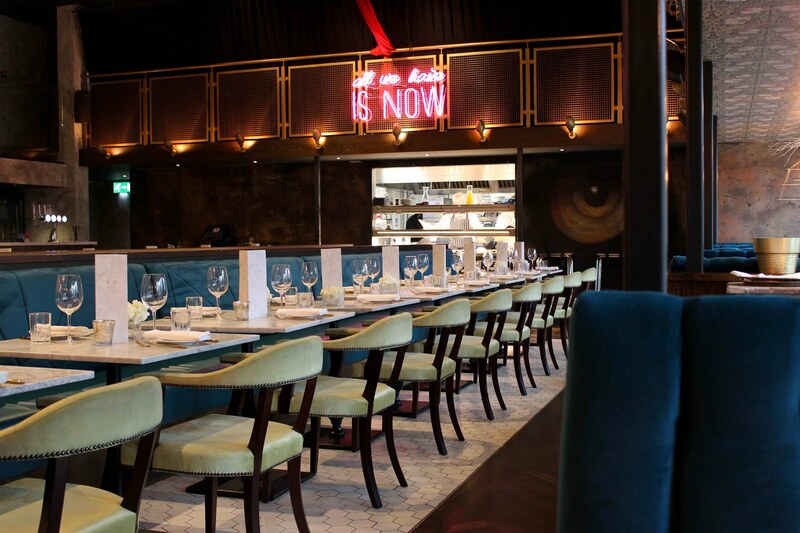 A trendy hotspot for Manchester’s bustling nightlife, the real magic at Menagerie happens in the day when the home of ‘experiential dining’ puts its own quirky spin on the tradition of afternoon tea. We went along one rainy Sunday to see what the fuss is about. 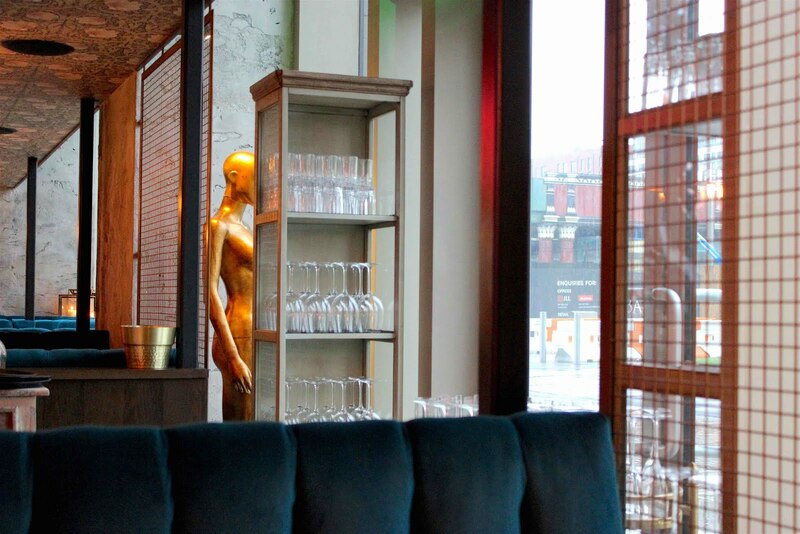 The environment is stunning and in addition to the quirks mentioned already, the plush teal seating, low hanging lighting and flecks of gold show that the restaurant hasn’t let a single detail go untouched. 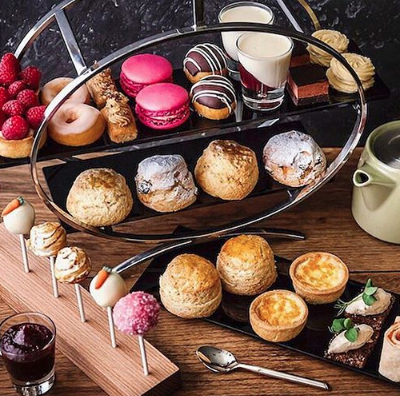 There are two types of afternoon tea on offer, traditional and Menagerie, the latter served with alternative 'social sharers’ rather than the usual finger sandwiches. 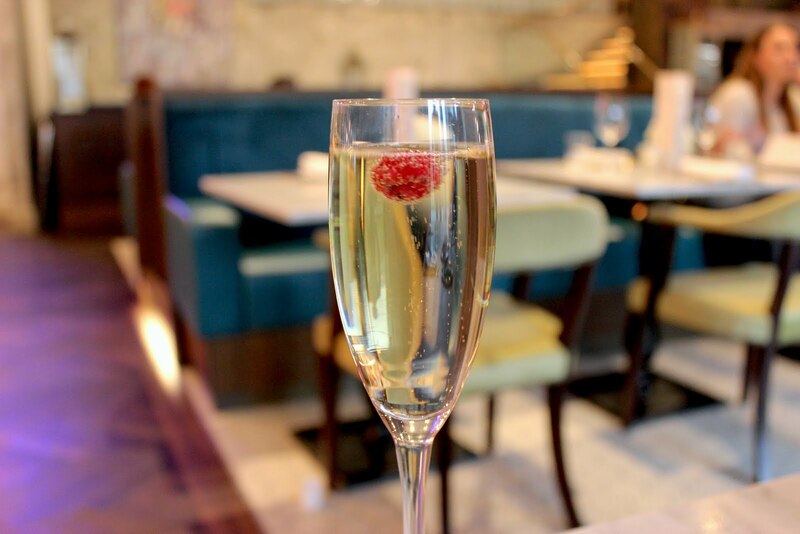 For £10 extra you can opt to have a glass of Moet with either, so of course we obliged - Sundays are for champagne, right? 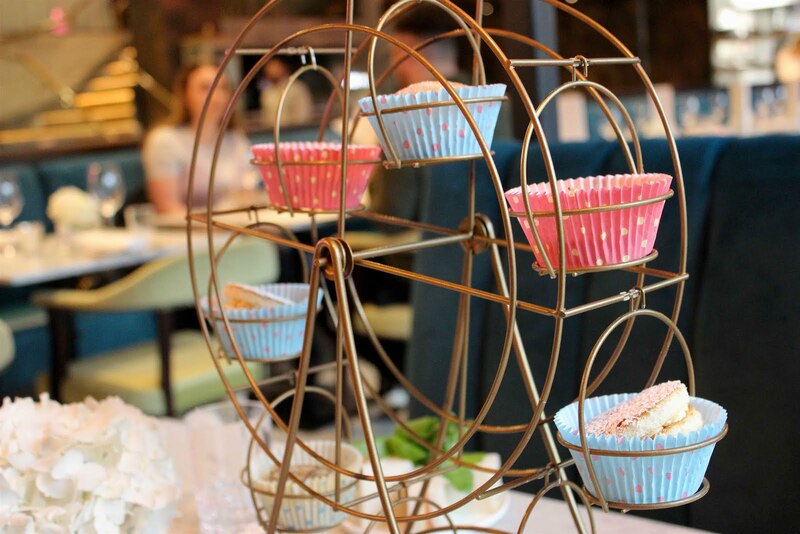 Afternoon tea is served in one of the most adventurous displays we’ve seen to date, with sandwiches and scones on separate dishes and an assortment of sweets served on a gold ferris wheel style-stand - so pretty! Sandwiches are smaller than your average finger sandwiches, instead cut into squares with a nice range of quality fillings including ham and mustard, egg, thick cut beef and horseradish, cucumber and cream cheese, and salmon with lemon butter. Next, the fruit scones are a good size, generously dusted with sugar and served with clotted cream and strawberry jam. As it's pretty much pure strawberry in a bowl, the jam was a little hard to handle due to its runny consistency but once dolloped on top, the flavour was tart and very tasty. Finally the dessert selection was right up our street, each served in a colourful cupcake case, the cake-carousel included a marshmallow-filled donut, lemon meringue pie, triple layer Victoria sponge and chocolate cake. The Victoria sponge was one of the fluffiest cakes we have ever tasted and the marshmallow donut was an interesting but delicious addition to what was a well-balanced collection of desserts and yes, we did manage to finish them all! For drinks, guests can choose from either English breakfast tea, mint tea or a range of coffees - it’s not a particularly extensive tea menu but for us it did the trick as we went for our go-to breakfast tea and latte. 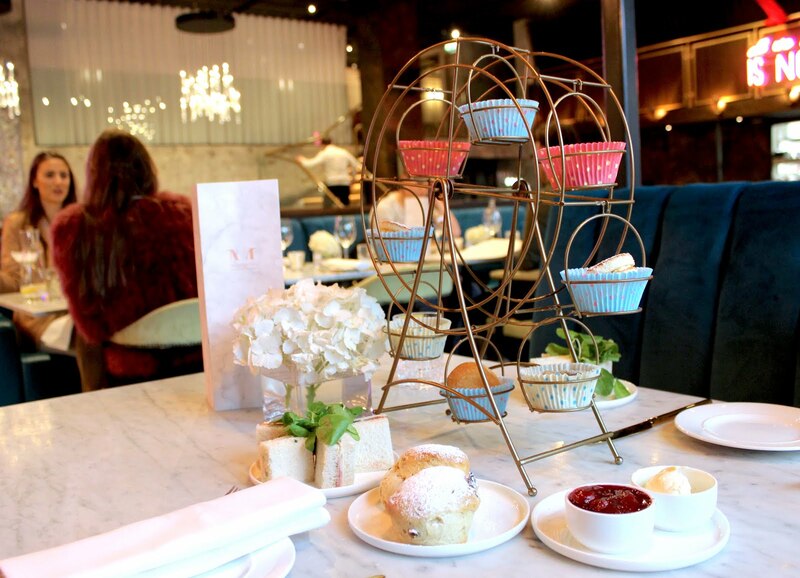 Menagerie is a dreamy venue for a cool afternoon tea and at just a short five minute walk from Manchester’s Spinningfields complex, it’s definitely worth checking out, even just to admire the scenery. At £23pp (without champagne) it’s slightly more expensive than other tea venues in the city but the food is good and the presentation certainly gives it an edge. 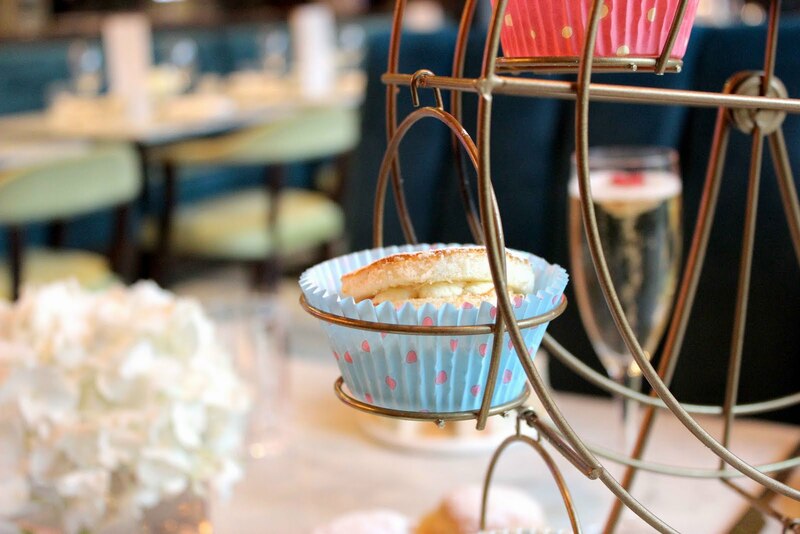 If you’re looking for afternoon tea with a playful twist, you’ll find it here. I went, the day before I went to Hope Street. It was stunning. 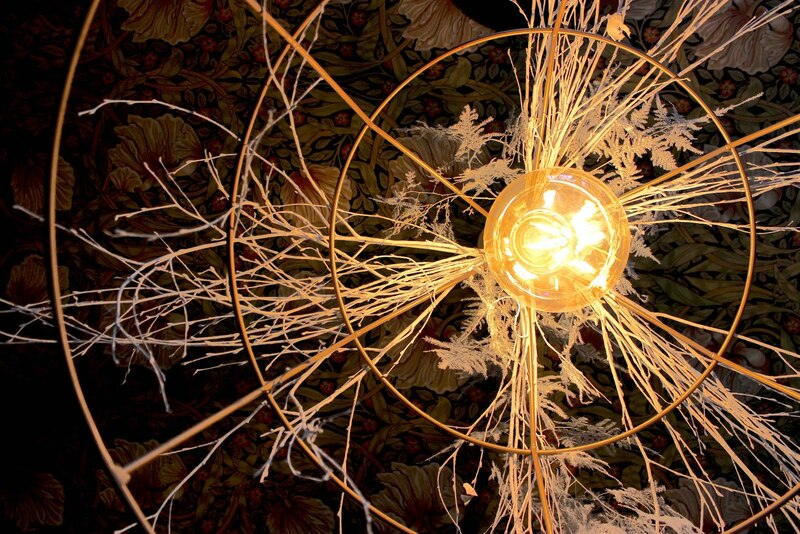 I'd recommend the Menagerie AT. It has a burger and other non-sandwichy things. Nice cocktails too. 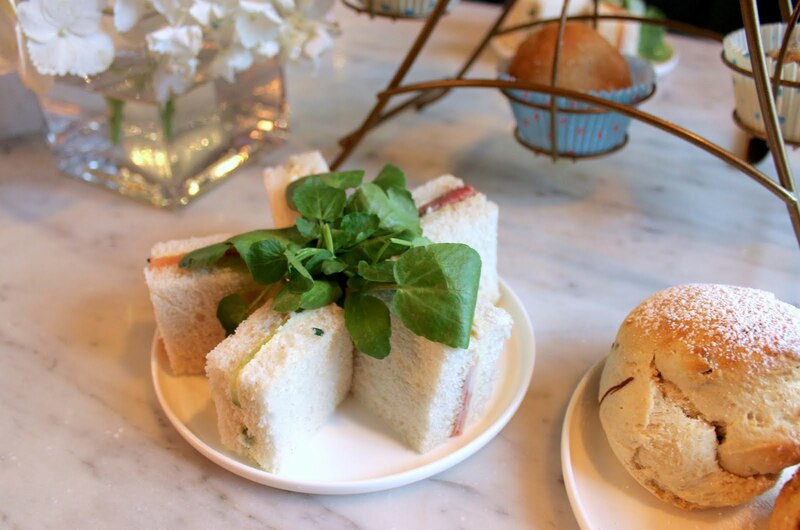 Haha we like your style - we've been known to go for two afternoon teas in a day before, but don't tell anyone! Such a beautiful venue though, we always love alternative afternoon teas, so will have to check that out!